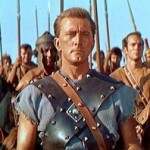 It isn’t the first time Stanley Kubrick’s Spartacus has been released on disc in high-definition, but this year’s upcoming Blu-ray Disc comes at the film’s 50th anniversary, and will contain extras and deleted scenes never included in the previous HD DVD version. Released to theaters on Oct. 7, 1960, Spartacus won 4 Academy Awards including Best Actor in a Supporting Role (Peter Ustinov), Best Art Direction-Set Decoration, Best Cinematography, and Best Costume Design. The film also won a Golden Globe for Best Motion Picture. 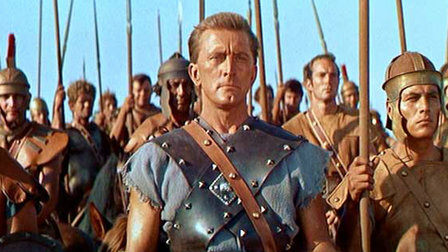 Spartacus was fully restored in 1991 and re-released to theaters as a longer film running 197 minutes (originally 184 minutes). In 2001 Criterion released a new 16:9 transfer of the restored film as a two-disc set. And, in 2006 the high-def HD DVD version was released but did not get rave reviews on quality, not to mention lack of any extras. The Blu-ray version will contain lots of extras, including deleted scenes, behind the scenes footage and vintage newsreels. The Blu-ray Disc MSRP is set at $26.98 and set to hit shelves on May 25, 2010. Official artwork and Blu-ray specs have not been released yet, but we’ll update as soon as we get them. This film is rated PG-13.